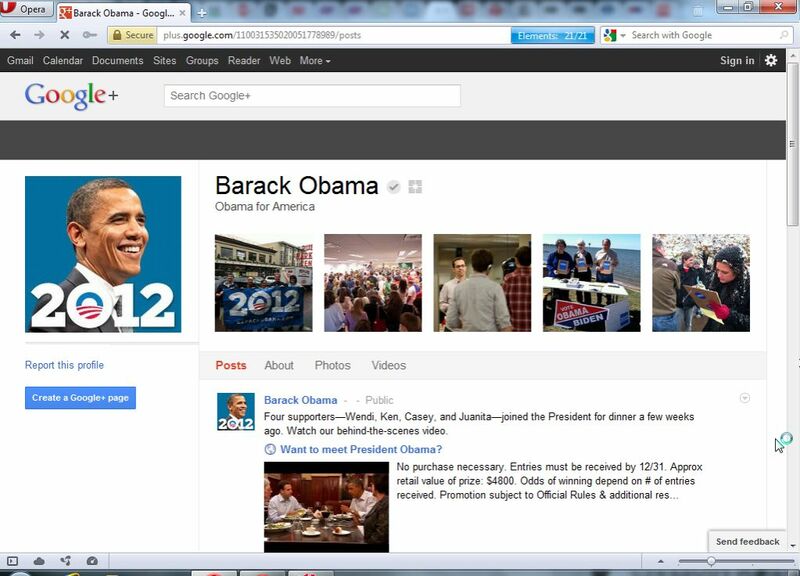 While many many are joining Google+, it should not surprise anyone to find Barak Obama on Google+ too. Mashable reports that Obama’s profile, which just gained a “verified account” tick mark, appears to have been launched first thing Wednesday morning. Naturally, it isn't being run by the President himself, but by his reelection campaign — a fact that the profile’s posts makes no attempt to hide.